Heat oven to 350ºF. In ungreased 1-quart shallow ovenproof gratin dish or 9-inch glass pie plate, place cheese in single layer. Sprinkle tomatoes, olives, thyme leaves and pepper flakes over cheese. Drizzle with olive oil. Bake 15 to 20 minutes or until warm. 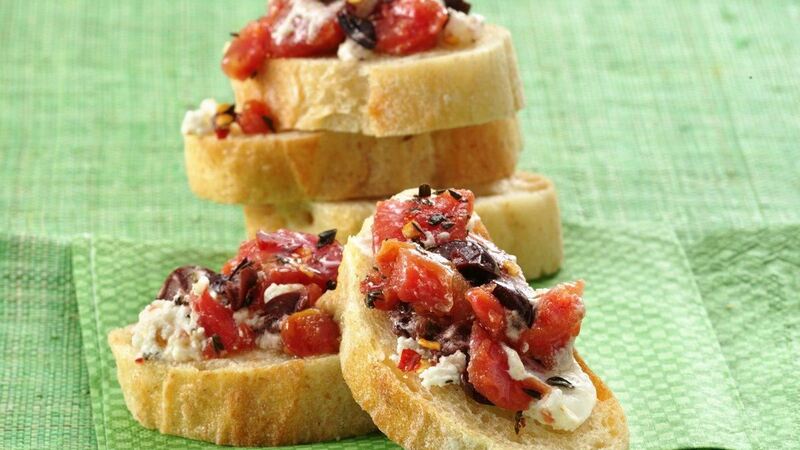 Serve with baguette slices. Did You Know? : Check the freshness date on the package of goat cheese carefully, as it can spoil quickly. Store it in the coldest part of the refrigerator for no longer than 2 weeks.